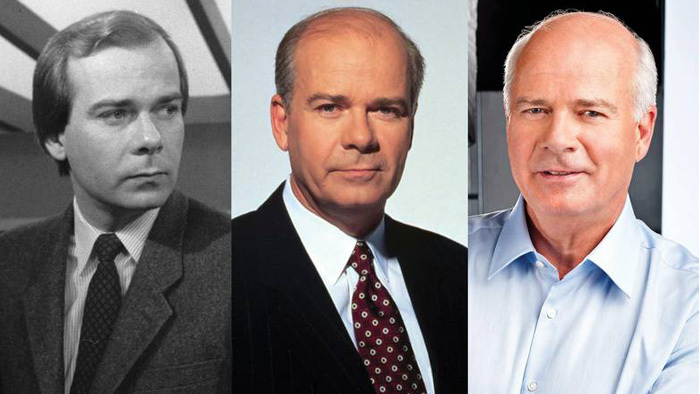 It says something about the place in the Canadian imagination occupied by Peter Mansbridge that everyday Canadians know his dual origin stories: How he got his start in broadcasting and the drama behind him landing the big chair at The National. In September, 1968, as lore has it, Mansbridge was working as a ticket agent for the regional carrier Transair at the Churchill, Man., airport when an announcement he made over the intercom caught the attention of a Canadian Broadcasting Corporation station manager, who complimented his voice and offered him a contract job as a late-night DJ at CHFC-AM. Within a year, Mansbridge had launched a brief newscast on the station, which led to other radio and then TV work with CBC. He became a parliamentary correspondent in 1976. CBC intends to invest heavily in developing a relationship between the audience and the new National anchors. (There will be multiple ones, though the network has not yet settled on precisely how many.) But it seems inconceivable that Canadians will know or care as much about whoever replaces him. With that in mind, Mansbridge, who announced in September that Canada’s 150th birthday celebration would mark his exit from the mainstage, is in the midst of a long goodbye. He visited five cities for a National In Conversation series of public forums. On Wednesday, Anna Maria Tremonti interviewed him during the first segment of The Current. Next Wednesday, he will helm his final broadcast of The National from Toronto. Thursday’s show will feature a tribute to his career. He will be interviewed Friday morning on CBC News Network’s Morning Live, to promote his final broadcast of The National that evening from Ottawa. On Saturday, he will helm five hours of coverage from Parliament Hill. In the summer of 2015, when host Evan Solomon was fired from News Network’sPower & Politics over conflict-of-interest allegations, the broadcaster put Rosemary Barton in for a trial run. When Adrienne Arsenault was tapped to host her first National broadcast a couple of years ago, she asked Mansbridge if she could observe him in the studio as part of her preparation. “He said, ‘Of course you can watch me. You can stand beside me.’ It’s a pretty classy thing to do,” she said. Mansbridge’s voice is characterized by what Kelley calls “a steely calm,” especially in breaking-news situations such as Sept. 11, 2001, and the Parliament Hill shooting in 2014.